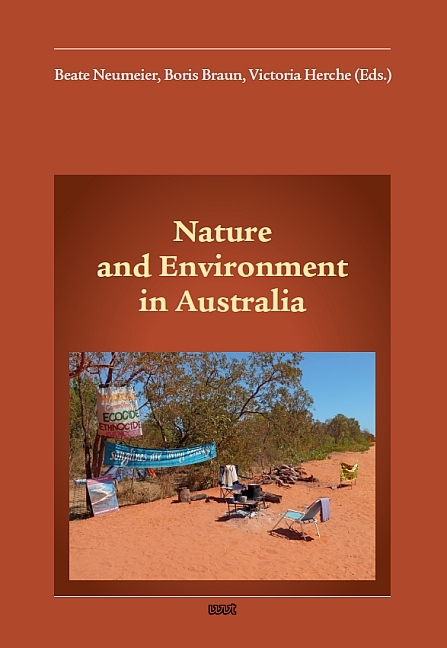 This volume presents inter- and transdisciplinary reflections on nature and environment in Australia in different but interrelated contexts at the intersection of the humanities and the social sciences. The wide scope of the volume includes contributions from anthropological (and ethnographic), historical, geographical (and urbanistic), as well as legal, linguistic, literary and media perspectives, highlighting the productive intersections between these different approaches. The overall goal is to show their inseparability in the concerted efforts to meet the environmental challenges of our time. The specific situation of Australia in the context of the current global environmental crisis is connected to the effects of climate change in relation to the post/colonial destruction of the ecological balance through interventions in fauna and flora and the exploitation of natural resources. The nexus between ecocide and genocide is thus at the core of Australian postcolonial ecocriticism, laying bare the links between and persistence of the ongoing histories of colonization, globalization and environmental destruction.